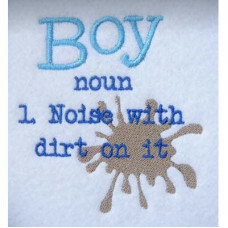 Big Sister and Big Brother – tee shirts, bibs, onsies etc. 5 x 7 hoop required.The zip .. 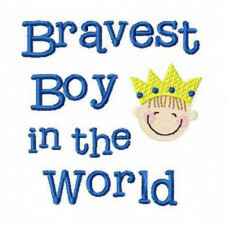 These cute designs for bibs, onesies or anything that you can think of 4" x 4" hoop r..
For the brave little people in your life. 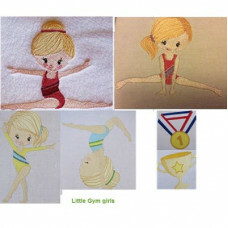 4" x 4" designs.The zip will contain files of.. 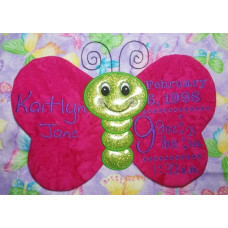 Celebrate the birth of your baby, birthdays or any message you wish to send –Butterfly wings are m.. 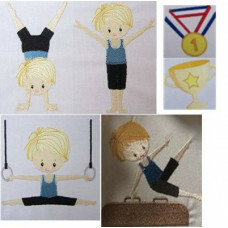 This cute design can be embroidered onto onesies for those Daddies or Mummies who aren’t quit..
Design set includes 4 gym boys in different positions – the winners cup and medals showing 1st, 2nd ..
Design set includes 4 gym girls in different positions – the winners cup and medals showing 1st, 2nd.. 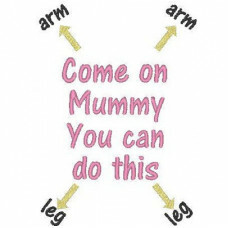 This cute little puppy will celebrate the birth of your baby, birthdays or any message you wish to .. 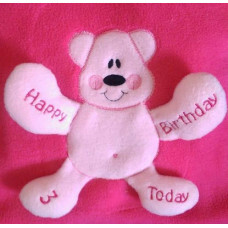 This cute little Teddy will celebrate the birth of your baby, birthdays or any message you w..